Connect 3 or more of the same characters to advance to a new age. New characters will randomly appear on the board after each swipe. You can also move more than one character in one swipe. Each swipe uses one move. You have limited moves but don t worry, they regenerate over time! Stuck? Add or remove single characters from the + menu. It will save you in a pinch! This is the spaceship. it allows you to remove any character from the gamefield. Drag and drop it on the character you would like to remove. If you have earned a new stage, this means we can construct a new building. Building construction requires the different resources listed. Construction takes some time If you don't want to wait, you can complete it immediately by spending crystals. Great! The building is constructed and will produce resources to help build new structures. It also added a new square to the game field. Each new building you construct will increase the play area by 1 square! Swipe characters to move them around the board. You can move multiple characters by swiping the character at the back of the group. Connect 3 or more characters to advance them to a new age. New characters from various ages will randomly appear on the board with each swipe. The game is over when no more matches can be made and the board is full. You should turn off your WIFI/3G/LTE internet connection before launching the Human Age game. 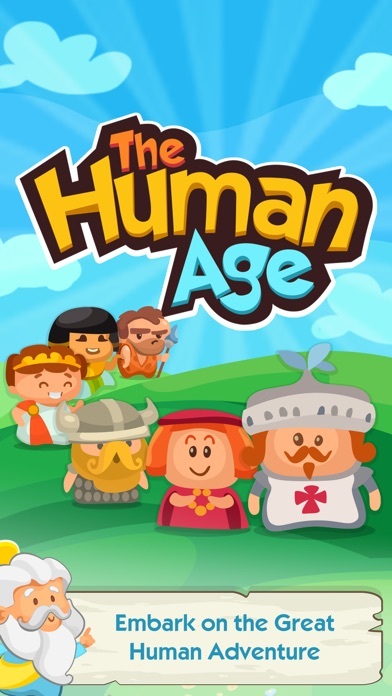 If you already launched the Human Age game, just force close or go to your multitask (Android: Multitask button, iOS: Double Tap Home Button) and remove it to force close the game. Close the Human Age app by going to your Android/iOS multitask and force close it. Restarting your phone would also force the app to close. Open Human Age app and you can watch ads again.